Low Carbon commissioned its first solar photovoltaic (PV) energy parks in July 2011. Since then, across their UK-wide portfolio of renewable energy projects, they have championed biodiversity as a critical milestone on the journey towards a low-carbon future. At all Low Carbon’s solar parks they work with landowners and developers to implement comprehensive land management programmes. Each aligns with the conditions and circumstances unique to its site. Yet while they are pledged to conserving existing flora and fauna, most parks benefit still more from the introduction of extensive new planting and husbandry measures. As sites mature, ongoing development will realise an increasing diversity of habitats and species: from meadows, hedgerows, wild flowers and woodland to sheep, bees, birds, bats, reptiles and invertebrates. Boundary trees and woodland provide wonderful habitats for animals while usefully screening solar arrays from general view. Native oak, willow, hazel, blackthorn and ash are in plenty at sites such as Wilmingham and Warleigh Barton. Newer sites such as Emberton, Branston and Lackford Estate have seen species-rich, locally-suited grasses established or re-seeded according to land management plans, with medleys of wild flowers attracting a wonderfully rich diversity of birds and insects. At Berwick, landowners have overcome naturally marshy conditions, supporting insects, breeding birds and small mammals by planting over 900m of native hedgerow. Ground-mount solar parks are often developed on low-grade land, avoiding impact on existing farming methods. At parks such as Rudbaxton and St Columb, livestock has been retained and replenished, allowing fruitful continuity of agricultural best practice. Large flocks graze at Battens Farm, Hellums Field, Wilmingham, Warleigh Barton and Callington. Critically important to farming and biodiversity, global bee populations are severely affected by climate change. To encourage thriving bee colonies, solar parks provide ideal protected habitats and abundant food sources. 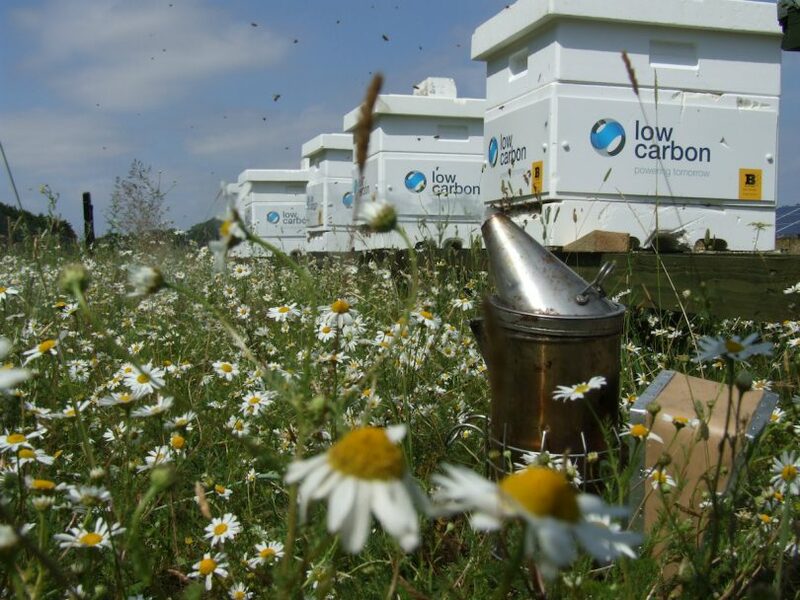 Low Carbon works with beekeepers to operate large-scale hives on carefully selected sites. 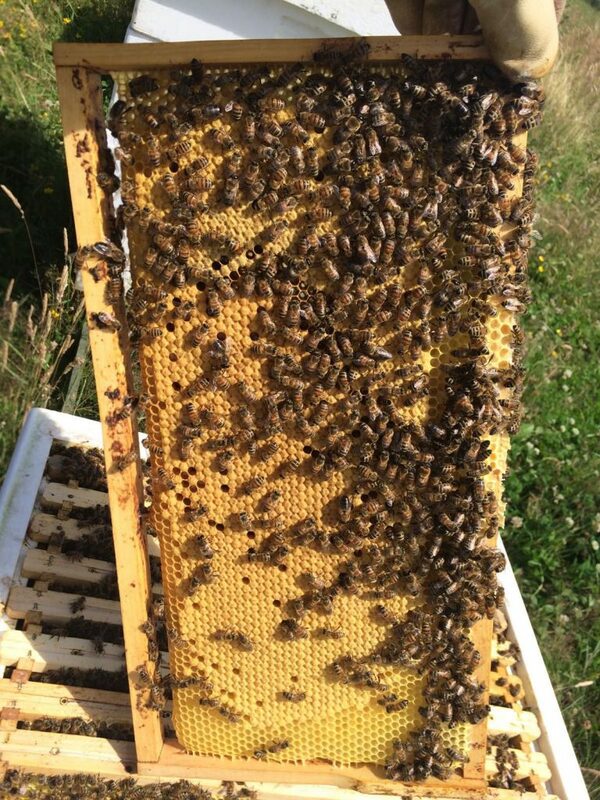 Five per site have been installed at Lackford Estate, Trigon, Trenouth, Hellums Field and Hope, with ten hives and eight colonies now in situ at Callington. Such initiatives have increased the total bee population of our solar parks to more than two million and rising. Low Carbon will also be farming the honey produced at many sites. At the award winning Lackford Estate solar park, responsible land management ensures that nesting stone curlews are protected, with two 2ha plots set aside especially to support this declining species. Four Burrows conserves the EU-protected breeding habits of skylarks, with numerous bird and bat boxes installed at most sites. The ample vegetation which flourishes at most solar PV parks protects and helps propagate a variety of fauna, with Warleigh Barton‘s hazel coppice ideal for dormice and similar species. At Battens Farm, developers have taken care not to disturb badger setts. At Lackford Estate, transit gaps have been created for smaller mammals. Maturing new and re-seeded meadows and flowers naturally attract butterflies, beetles, spiders and arthropods, with insect hotels and log piles found at a number of sites. At Berwick, roach and carp thrive in a large pond. All parks have established land management programmes sympathetic to reptiles and amphibians. Branston features hibernacula — attractive to these fast-disappearing species. Low Carbon has launched an initiative to promote greater biodiversity in Cornwall, Dorset and Suffolk. 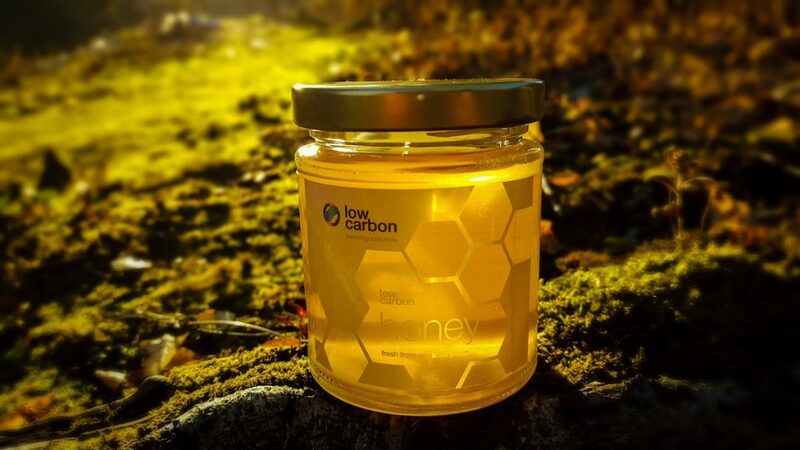 Low Carbon has partnered with sustainability company Plan Bee to install and manage twenty-five bee hives across five of its solar farms. According to research by the University of Reading, honeybee populations have halved in the UK, over the last twenty years, with climate change, mites, pesticides and disorders, contributing to this. Plan Bee partners with businesses like Low Carbon to support and increase populations of this important insect, which is a vital component in the balance of our precious ecosystem. Each of the five sites will host more than 300,000 bees to help fertilise local crops and encourage biodiversity. A remote monitoring system is planned, which will allow Plan Bee to keep tabs on each bee colony by monitoring parameters such as brood temperature, humidity, hive weight and weather conditions. As an ongoing effort to raise awareness of the plight of bees and continued support of renewable energy, honey from the hives will be sent to key stakeholders and partners. Warren Bader, Plan Bee Ltd’s CEO said: “We’re delighted to be working with a prestigious renewable energy company like Low Carbon, who share our vision on biodiversity and sustainability. They’re playing a part in supporting the local communities in which they work. Like the bee community they are working together for the betterment of the collective. While renewable energy companies are sustainable by their very nature, we offer them the opportunity of improved ROI, which we like to think of as ‘return on involvement’. Header Image Credit: Low Carbon.